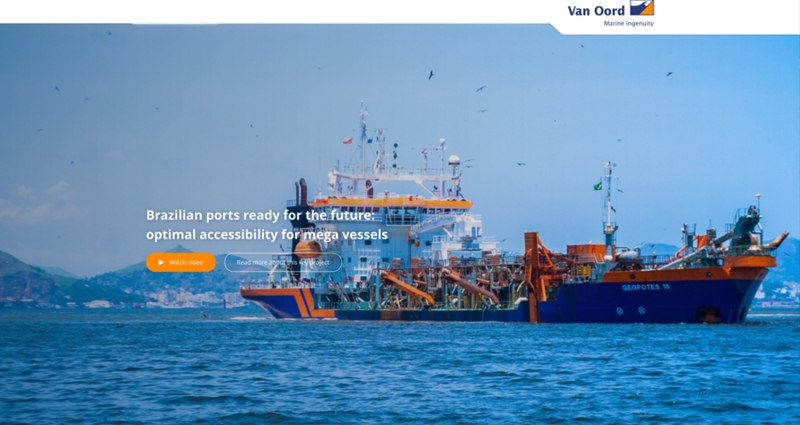 In the harbour of Rio de Janeiro, Brazil, Connecting Media produced locations recordings for the Dutch ‘Dredging & Offshore contractor' Van Oord. Besides recording footage from the dredging job with our shoulder camera in 4K, our Brazilian crew also took care of shooting of 4K Drone footage and a Photo shoot. The footage and pictures have being transmitted by us to Van oord in The Netherlands. Van Oord produced a nice video from the Brazilian footage.